Essex County OPP responded to more over 20 collisions Tuesday morning due to slippery roads. Most collisions between 6 a.m. and 10 a.m. were minor in nature and involved vehicles sliding off of slippery roadways. Up to 10 vehicles were involved in separate collisions on E.C. Row Expressway near Huron Church Road around 6:30 a.m. One had with minor injuries and a severed hydro pole. Parts of E.C Row were closed for over an hour as these crashes were investigated. A head on collision on Manning Road at Highway 401 at around 7 a.m. sent two people to hospital with non-life threatening injuries. Manning Road was closed or had lane reductions for approximately one hour. 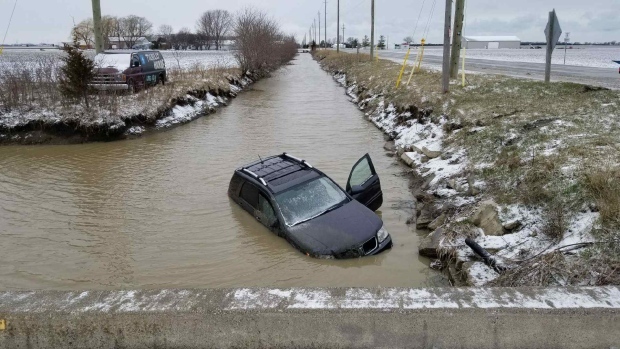 Around 8 a.m., a single-vehicle collision on Lighthouse Road and Tecumseh Road in Lakeshore found the operator of a vehicle in a deep water filled ditch after sliding through the intersection. No injuries were reported at this collision. 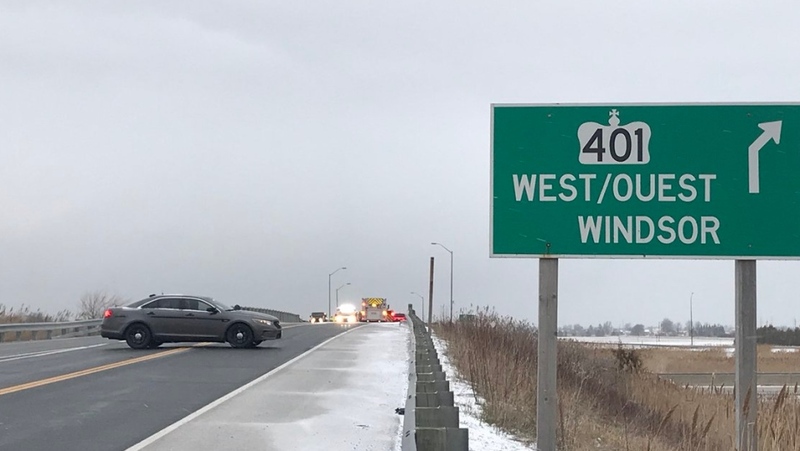 Between 7 a.m. and 8 a.m. more than eight vehicles were involved in separate minor collisions on County Road 22 between Patillo Road and East Pike Creek Road in Lakeshore. One single-vehicle collision involved a school bus that did not have children onboard at the time. No injuries were reported at this location. OPP urge motorists to adapt their driving to changing weather conditions similar to what was experienced throughout the county Tuesday morning. Reducing speeds, leaving extra room between vehicles and remaining attentive will prevent most collisions, even when roadways are ice covered or wet.